Jürgen Klopp believes Liverpool's first-half performance during their 2-1 victory over Swansea City on Saturday provides the perfect example of why his players cannot afford to get carried away when the going is good. The Reds had claimed four straight wins in all competitions prior to their trip to the Liberty Stadium, where they were set to face an opponent with just four Premier League points to their name after six fixtures. But the opening 45 minutes made a mockery of both teams' respective positions, as the Swans came flying out of the traps to claim an eighth-minute lead, which they were perhaps unfortunate not to extend before the break. The visitors were facing an uphill task as they headed back out for the second half, but put on a massively improved performance that was rewarded as three points were secured through Roberto Firmino's header and a James Milner penalty. 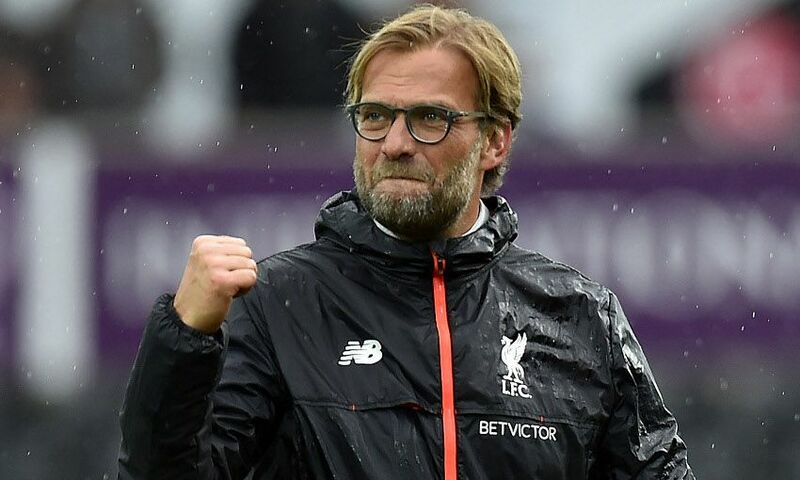 And, while Klopp was understandably delighted to have seen his team turn things around against the odds in south Wales, he cited the first half as evidence that the Reds need to be at their best in every game. "It was such a positive week: Interview here, interview there, ‘the manager is brilliant’, ‘everyone is enjoying themselves’," he said. "And then at the end of the week, Swansea is waiting with the knife between the teeth, and you have to go and perform again! "That’s what I mean. We have to get used to it. To be a successful team you need to be a challenger in each game, challenging for three points in every game. "I’m happy with the performance from the [fans], it was great! We didn’t make it too easy for them, but you saw that they took each good moment from us to help us back in the game. That was nice." Klopp went on to reveal that he had seen no signs in training that Liverpool would make a lacklustre start against Francesco Guidolin's men. But he also vowed to ensure his team are ready to show their best at exactly the right moment in future. "In situations like this, you see one or two sessions in the week and you think ‘Oh my God, it was so good!’ And it’s really difficult to keep that level up," he added. "The problem is, there is one time in the week where you really need all this stuff. And that’s in the game. Of course you prepare in training, so you can rely on it in the game. That’s what I say. "We will learn to push the button in the right moment, to train all during the week to prepare for this game."